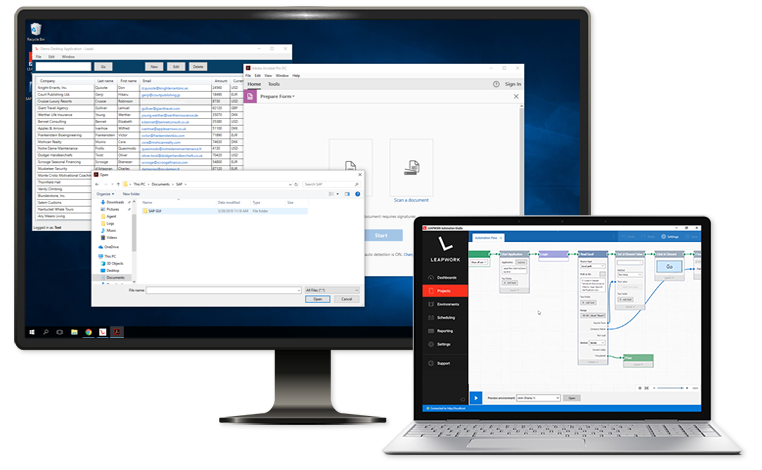 Automate flows and tasks in—and across—any desktop application with LEAPWORK's native identification of objects and elements. 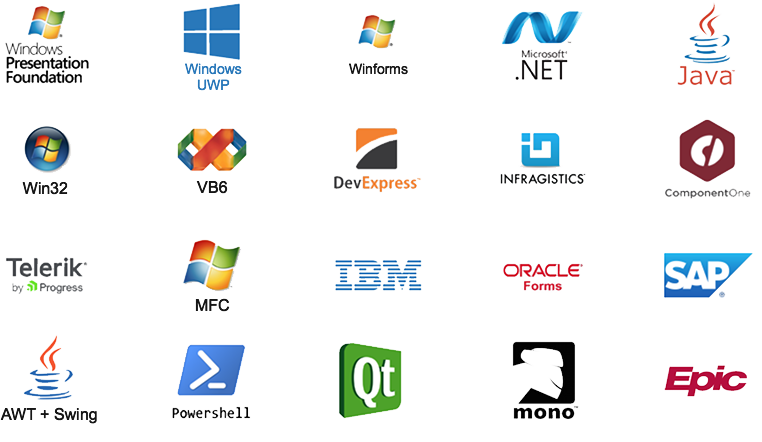 Native automation of applications based on the most widely used technologies and frameworks. Build desktop UI automation from day one without ever typing or reading a single line of code. 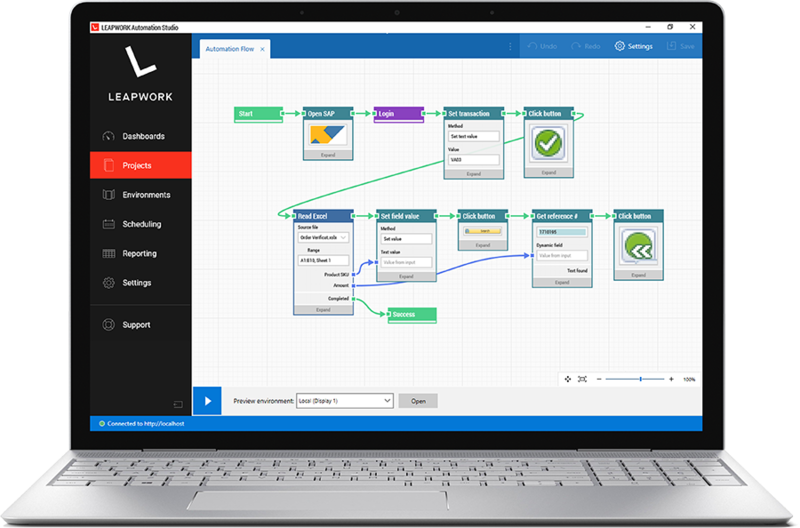 Build UI automation as flowcharts by putting together powerful building blocks representing any action performed in desktop applications. 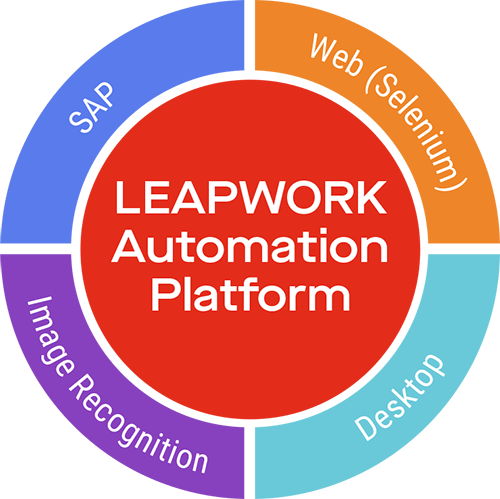 Automation flows built with LEAPWORK won't break, even when the application being automated changes. Don't limit your automation flows to a single application. By combining UI automation with LEAPWORK's web and virtual desktop capabilities, your flows can go across any application type. 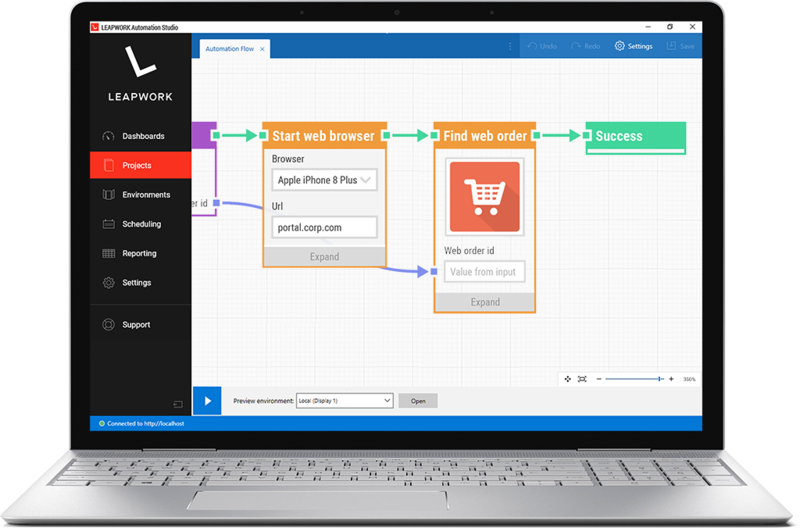 Design your flows with LEAPWORK's Desktop UI blocks which include all the logic and details needed for accurate and reliable UI automation. A revolutionary tool for UI automation. Fun to use. Infinitely customizable.